Styluses and smart pens may enhance productivity and creativity, but users can still encounter problems, especially outside of specifically compatible screens, tablets, notebooks or apps. Phree, a new input device set to launch later this year, is designed to let you use almost any surface to capture your handwriting and drawing. OTM Technologies today launched a Kickstarter campaign for Phree, which lets you draw on one surface while the input appears on another. 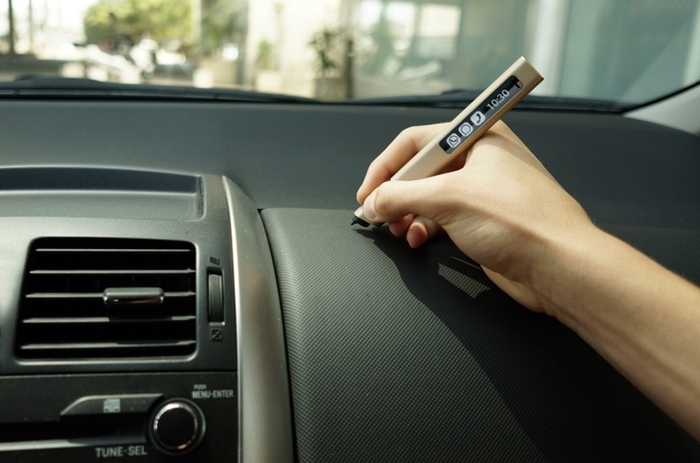 With Phree, you can jot down a note on a post-it, table, or even on your hand and watch it appear instantly on your screen via a simple Bluetooth connection, and then saved to the cloud. While Phree may, at first glance, look like a stylus, it is more of a combination of a wearable, Internet of Things kind of device. Phree’s input capabilities span a range of notetaking, texting, emailing, and even phone answering functions. Say you’re walking around town with Phree in your pocket, you can read your phone message right from the device’s LED and even send a return message via the mini touch display. It can also function as a headset to make phone calls. 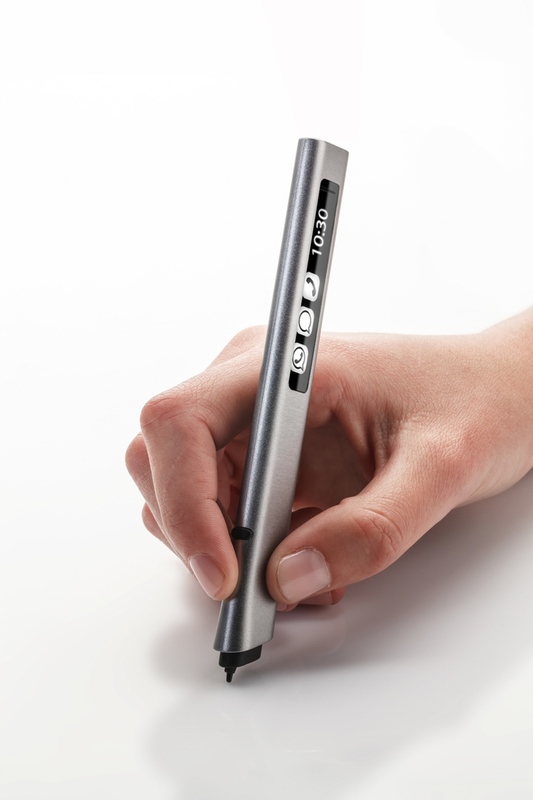 Unlike traditional styluses, Phree uses laser technology for accurate motion tracking to display notations on smartphones, tablets, computers, televisions or smartwatches in high­ definition. Because you are writing on a different surface than the screen — employing hand-eye coordination — you have a clear view of the screen for input purposes. Phree allows you to record any kind of information, mark up documents and photos, and even send text messages with emojis without having to write on the screen — and even if your device is in your pocket. 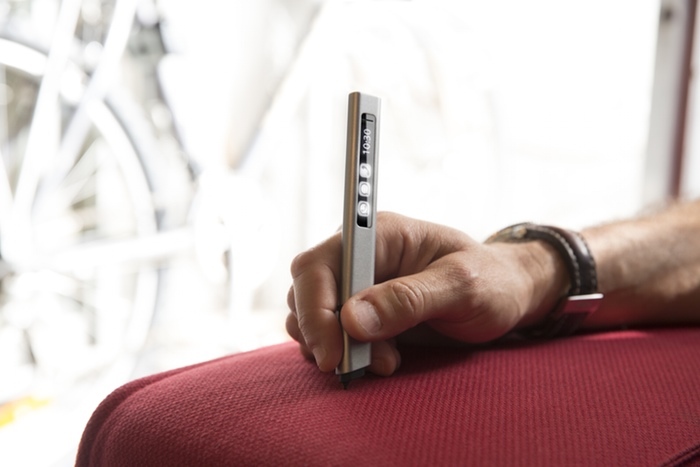 The sleek pen design sits comfortably in the hand and fits into your pocket. Optical Translation Measurement, OTM’s patented technology, uses a 3D laser interferometer sensor to measure relative motion to nearly any surface, and it produces a crisp, natural capture of handwriting in high ­resolution. The device actually measures motion to the tip of the sensor, and can even be used as a biometric ID tool because it analyzes not only your writing but the way you write. Phree’s advanced technology measures x/y/z axes as well as tilt. Phree is available for pre­order for $129, a temporary discount from the regular price of $169. It’s compatible with major platforms including Android, Windows and Apple via a B​luetooth ​Smart connection.